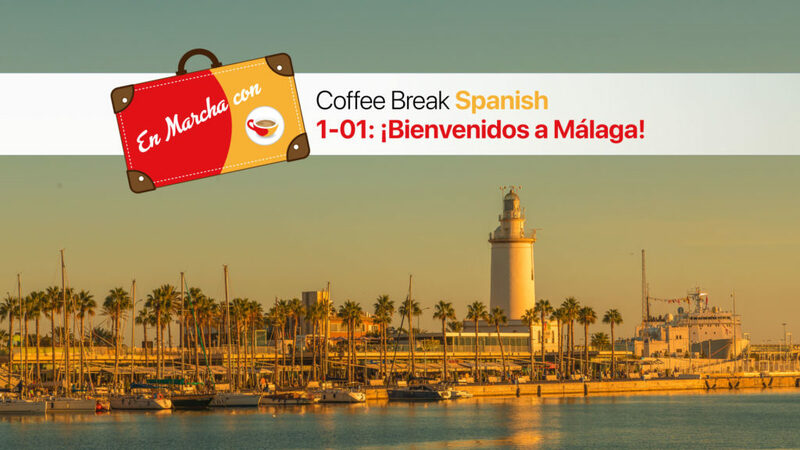 In this first episode of the new series, Mark and the Coffee Break team arrive in Málaga, the beautiful city in the south of Spain. This episode sets the scene for the series and you’ll be eavesdropping on Mark’s conversations in Spanish with native speakers, while experiencing the sounds of the city. For the full online course which includes transcripts, bonus audio materials, exercises, vocabulary lists and exclusive video content, please click here. Hello! The Coffee Break Spanish podcast is so helpful! It is especially great for people who are trying to review what they have learned in the past, like me. I do wish that the “mouth noises” would be less prominent in the videos though. It can be distracting, and a little off-putting. Myself and other people that I know have a hard time focusing on the lesson because the noises are so uncomfortable to hear that they can’t pay attention. Besides the unintended noises getting picked up y’all really are doing a wonderful job with Coffee Break Spanish! Keep up the amazing work! Hi Jenna. Apologies for the slow reply – our notifications were not set correctly so we missed your comment. If you’re referring to the conversations we’ve recorded on the go in Málaga in the episodes of En Marcha, these are authentic conversations recorded in the street, not studio recordings where we can control that type of thing. Ultimately if you’re speaking to people in the “real world” then they may have similar noises. Hope that helps to explain. Thanks to you i am on season 3 and learning easy and good, but i want to gave the transcript for episodes of season 3 and i tried to get premium for this reason but I don’t know why I can’t go further, please tell me What i have to do to have all episodes transcripts for season 3 . By the way, I introduced coffee break spanish to many people Because i love coffee break spanish . Apologies for the late reply Alireza. You can access the premium version of Season 3 on the Coffee Break Academy.